The annual internal poll, known as Googlegeist, asked workers whether Pichai's vision of what the company can achieve inspires them. 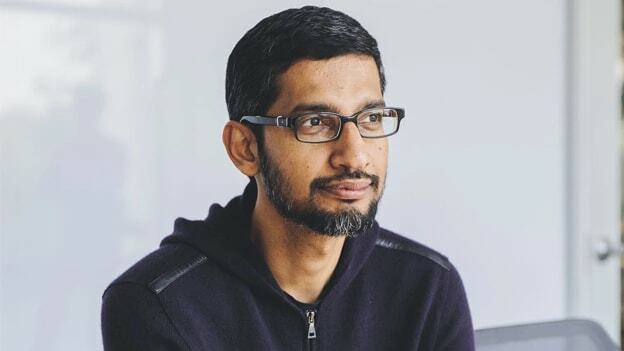 An internal employee survey of Google suggests some employees in the company doubt the leadership and vision of their CEO, Sundar Pichai. The annual internal poll, known as Googlegeist, asked workers whether Pichai's vision of what the company can achieve inspires them. In response, 78 percent indicated yes, which is down by 10 percentage points from the previous year. The survey also highlighted if the employees have confidence in the CEO and the management team to lead Google in the future. The survey received positive feedback were 74 per cent of the total and 18 points decline from the previous year. There were similar declines for questions about Pichai's decisions and strategies, his commitment to diversity and inclusion, and the compensation the company pays, according to the results, which were viewed by Bloomberg News. Google shares the results with all employees to make sure concerns are heard. This time, 89 percent of workers took the survey. The survey also asked questions about employees working situation and if they will continue their stint with Google. With 82 per cent of employees’ responded saying that they are planning to be working in the company one year from now, that was down by one per cent from last year. And 86 percent replied that they would suggest Google as a place to work. The survey also highlighted other results in the company. Such as decision making, commitment and diversity. The employees were asked if Sundar Pichai’s decisions and strategies helped the company to do excellent work, 75 percent employees replied positive which was down by 13 points from the previous year. 70 per cent employees feel that the CEO is committed to diversity and inclusion which was down by 12 points. The survey also pointed out about the total compensation of the employees, 59 percent felt positive which was down by 11 points. And 74 per cent of the employees are not thinking about leaving the company currently.